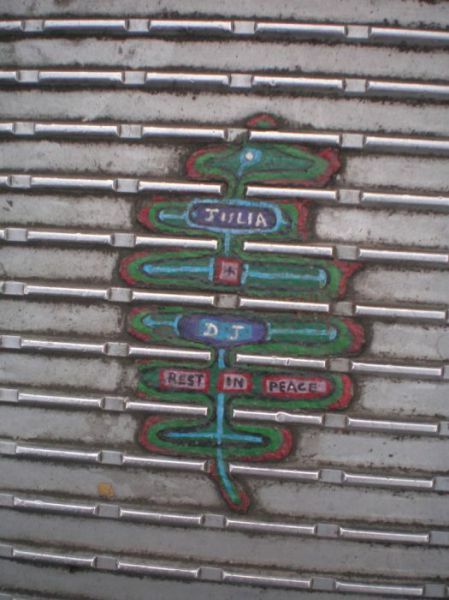 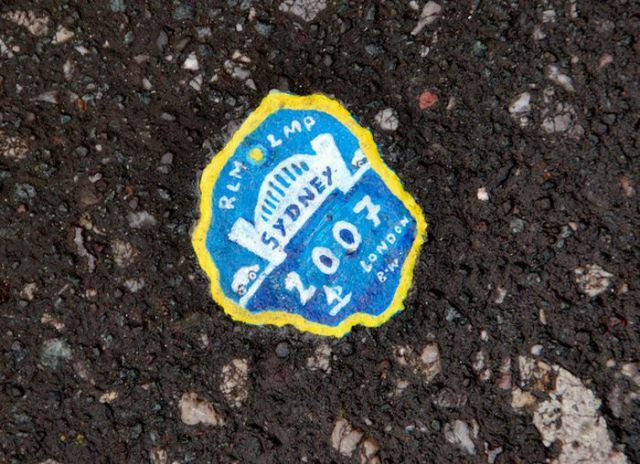 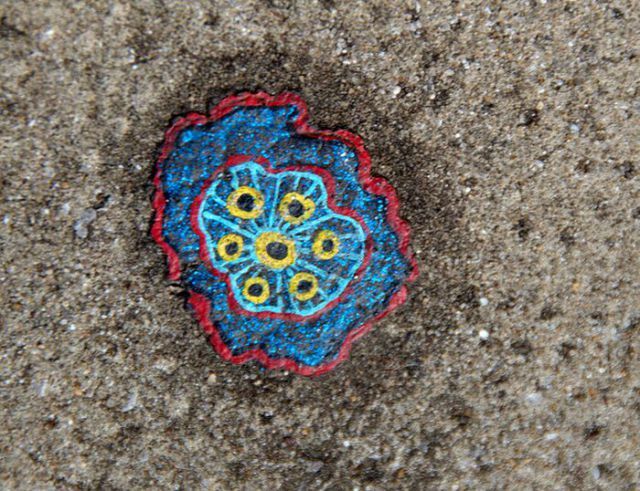 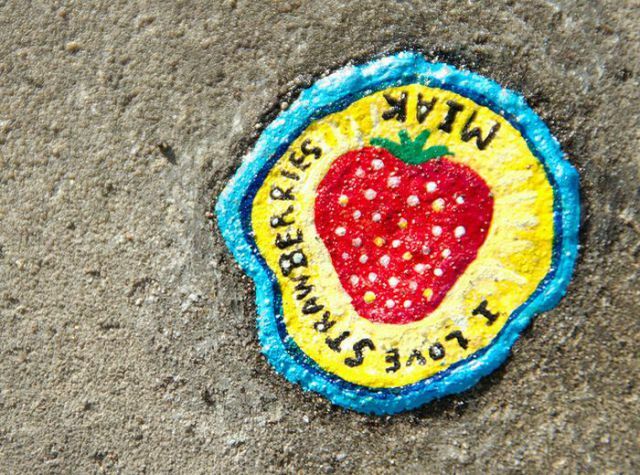 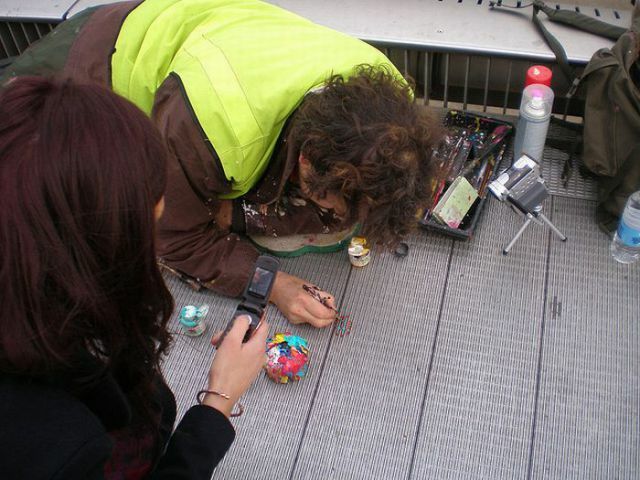 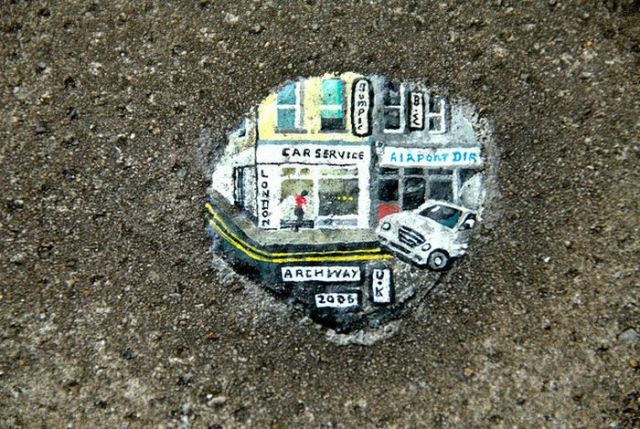 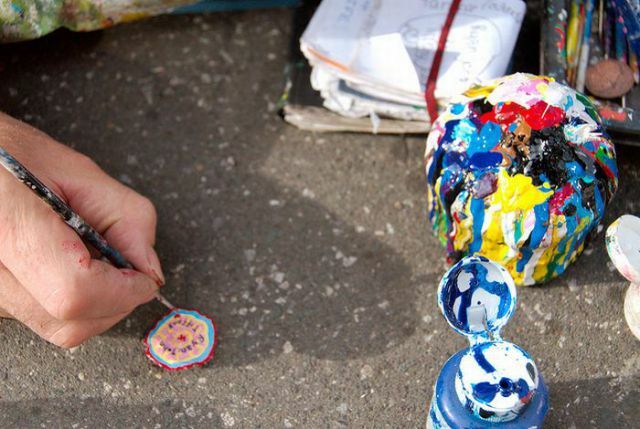 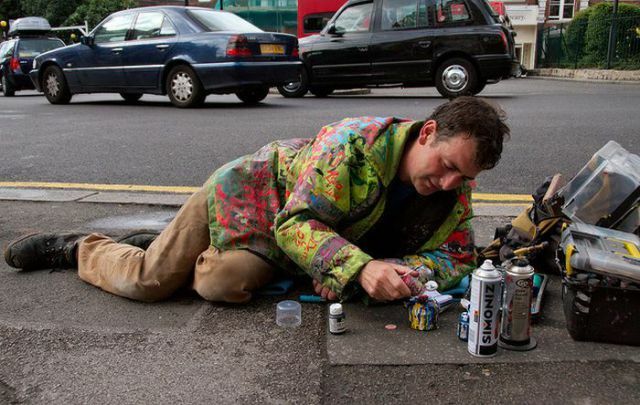 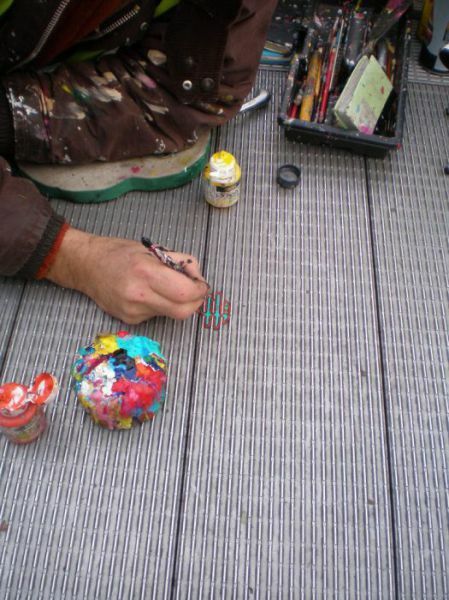 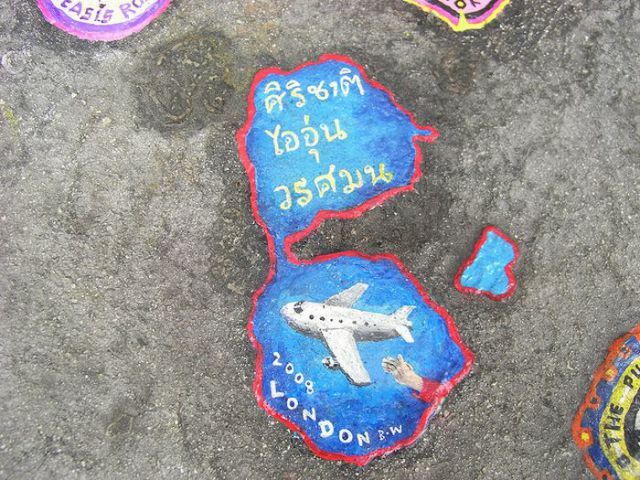 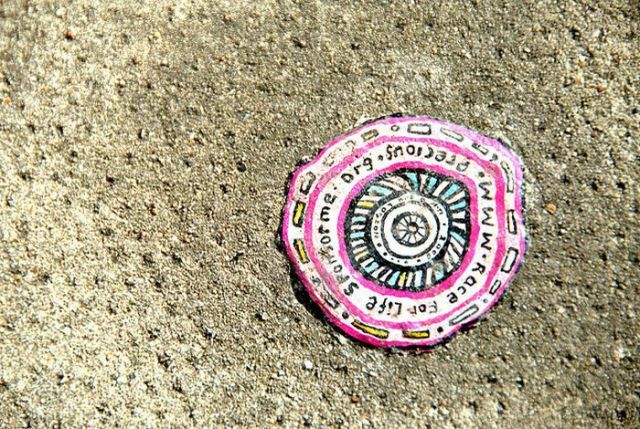 This is chewing gum art that was created by artist Ben Wilson. 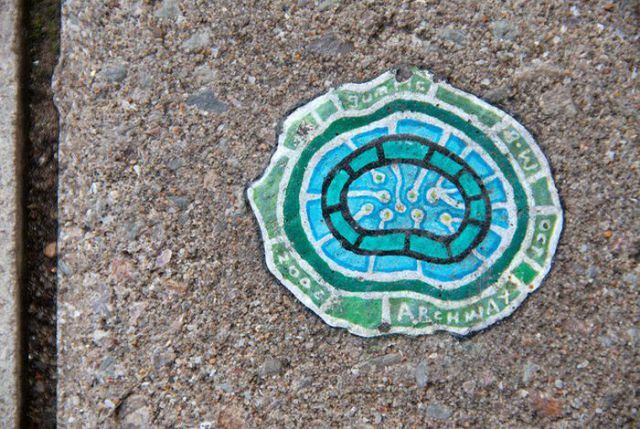 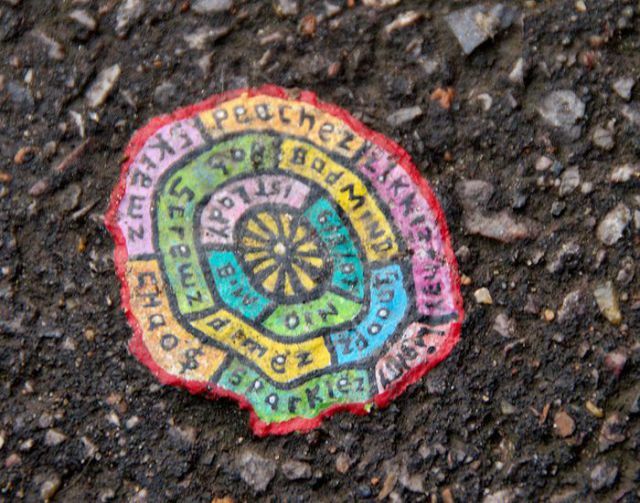 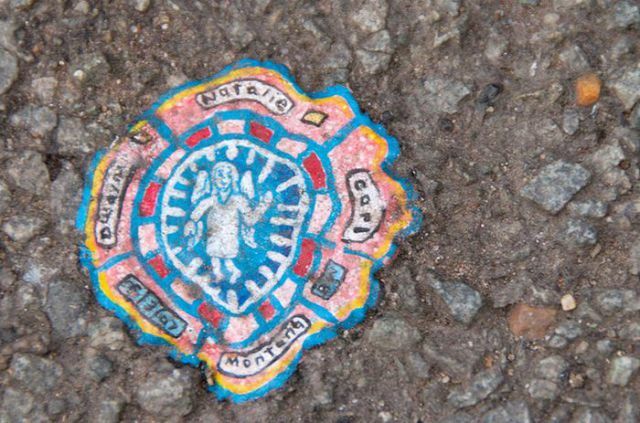 While most people think chewing gum on the street is disgusting, the chewing gum artist certainly makes a decorative statement with it. 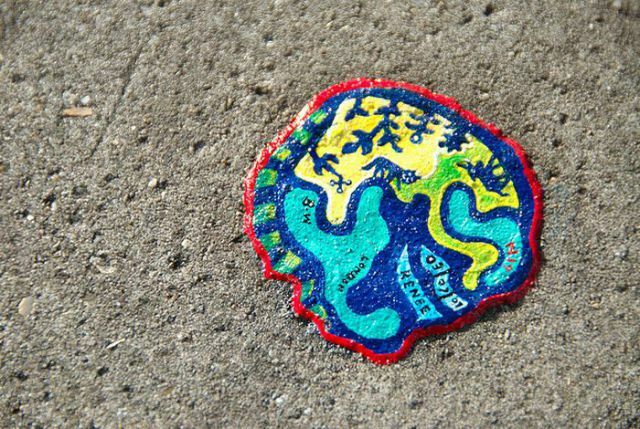 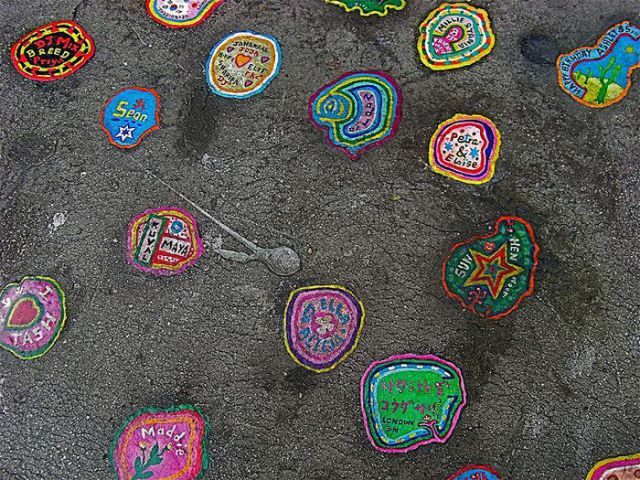 I'd love to walk down a city street and find these lil pieces of goo! 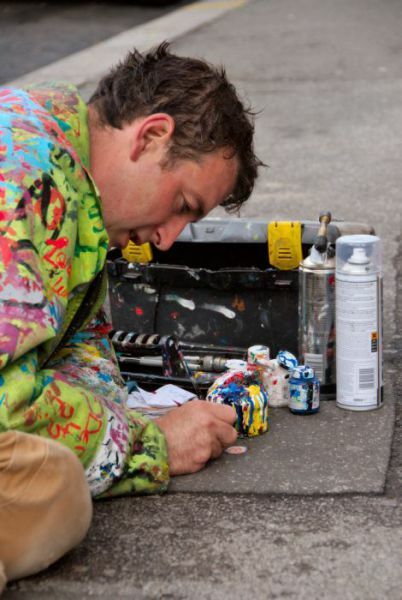 paint the bottoms of my flip flops? 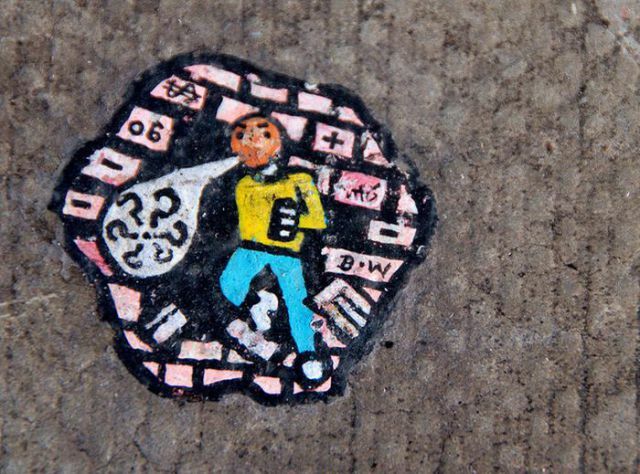 Some people have WAY too much time on their hands... 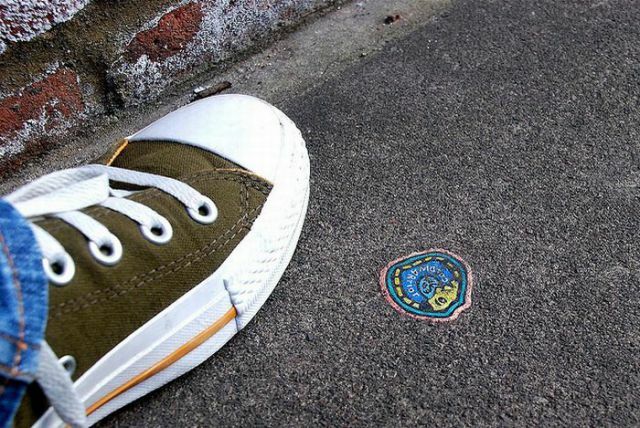 But it's still pretty cool.